Most plastics, materials, fuels and other organic chemicals are presently derived from fossil fuel feedstocks. 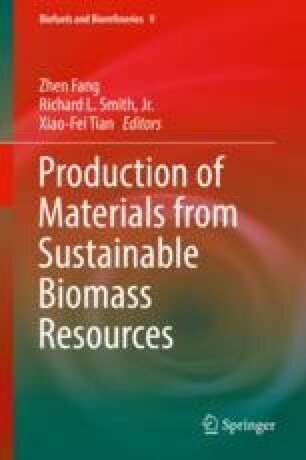 Due to the finite nature and foreseeable depletion potential of these raw materials, concerted efforts are being explored to find sustainable alternatives to the fossil fuel feedstock-derived products. Among these, bioplastics and oligomers derived from fermentation of the renewable plant biomass are promising candidates to replace fossil-fuel-derived plastics. Bioplastics are a class of storage polymers synthesized by microorganisms. Natural plastics can also be produced via a bio-chemo process that combines fermentative production of monomers or oligomers, followed by a chemical synthesis process to produce a variety of polymers. These polymers, particularly polyhydroxyalkanoates (PHAs ) represent futuristic biomaterials owing to their biodegradability and biocompatibility. Furthermore, PHAs have physicochemical properties that are similar to petrochemical-based plastics hence their potential replacement. Designing efficient processes holds the key towards their adoption. This chapter discusses opportunities and challenges regarding the production of lactic acid (LA)-based polymers and related oligomers that can act as precursors for catalytic synthesis of polylactic acid (PLA ). It covers crucial steps of their production using genetically modified organisms and engineered enzymes as well as providing future developments.